This is a high quality Giclee Print of the Ski Poster celebrating Le Kandahar, located in the heart of Les Houches, at the foot of Mt Blanc in the stunning Chamonix Valley of France. 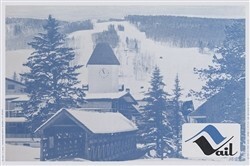 As noted on the poster this was an advertisement for an International Ski Event being held in March of 1948. 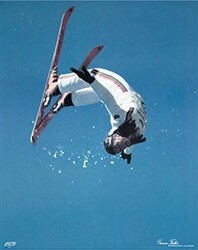 Great head gear and what looks like Spring Skiing Skiwear. 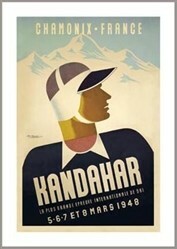 Stunning art deco posters, like this and others on the Vintage Ski World site, make wonderful gifts and enhance any wall decor.